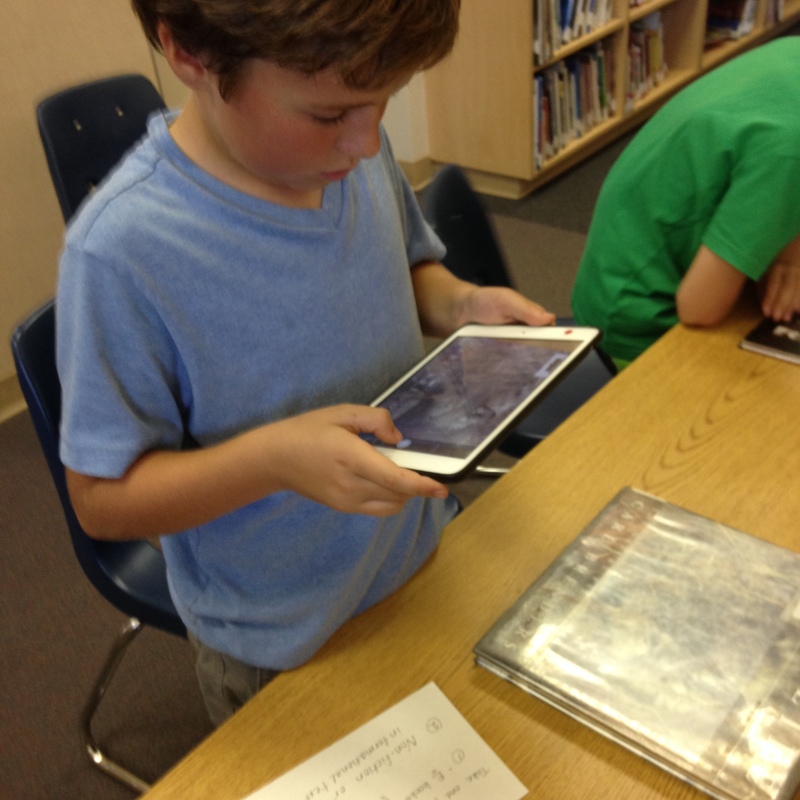 This week fourth graders had a good time going on a genre scavenger hunt with the iPads. Each team had an assignment and had to find and photograph the covers of the books on their task cards. Then they made a PicCollage and air-played it to our TV for all to see. They are getting very proficient with the iPads! Kindergarteners heard the Ugly Pumpkin by Dave Horowitz and many decided they might want to get a squash for Halloween this year! This is a great story to read as a gentle reminder to treat everyone fairly no matter how different they might seem. 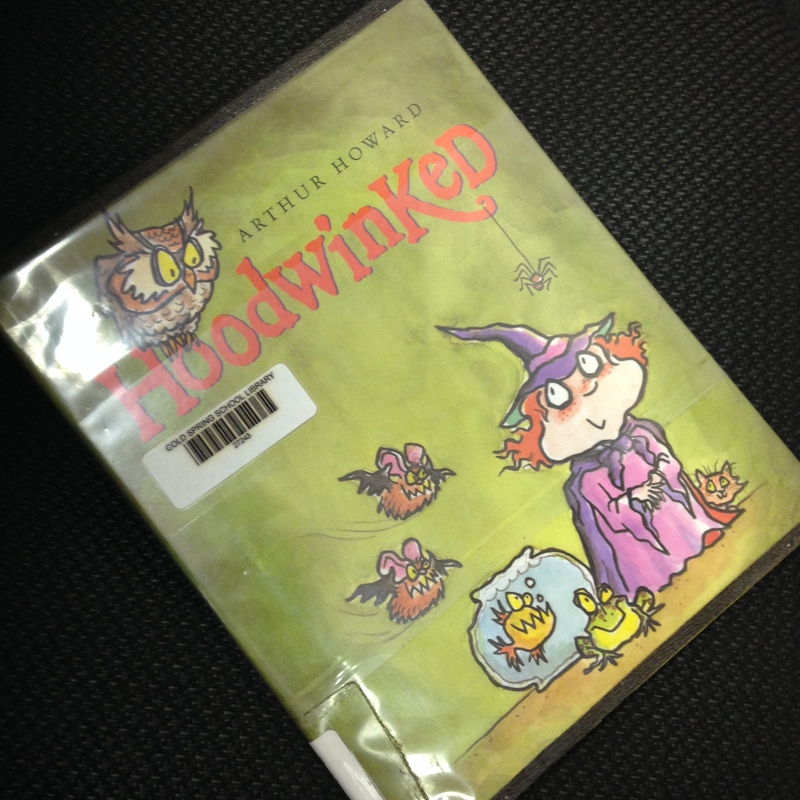 First Grade heard the story Hoodwinked by Arthur Howard and we did the visible thinking routine called Fluttering Feelings. Mitzi the Witch wants a truly scary pet like the ones all her relatives have but she tries one after another until finally an adorable kitten wins her over. Students traced how her feelings began to change in the story until finally she was more than happy with her cute pet. Second Graders “watched” a story this week using our laptop and a great site called We Give Books. The story is a hilarious parody of Good Night Moon called Good Night Goon by Michael Rex. In order to understand parody we compared our print copy of Good Night Moon with several of the pages in Good Night Goon. We used the visible thinking routine Same, Same, Different to look for similarities and differences. Third graders worked on making inferences this week. To begin I brought out my purse, took items out one at a time and asked students to think about what the items in my purse told or inferred about me. 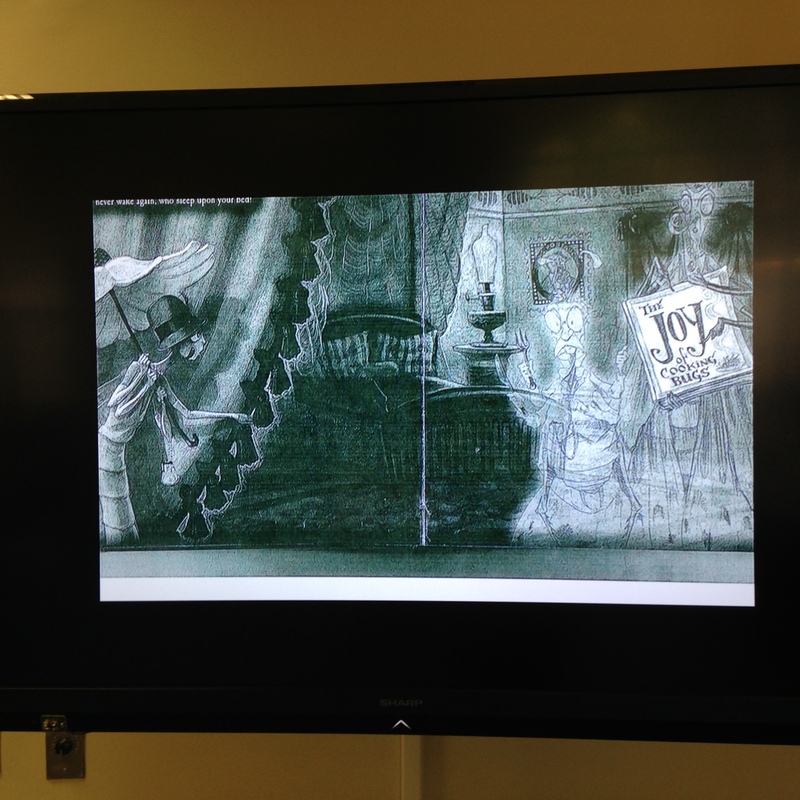 (My favorite was when I brought out my wallet and a student eagerly said, “You have a job!”) Then we looked at this slide from Spider and the Fly (the version illustrated by Tony DiTerlizzi) and they inferred what could be happening. After doing that we read the book and they eagerly looked for all the clues to what happened to the poor fly. 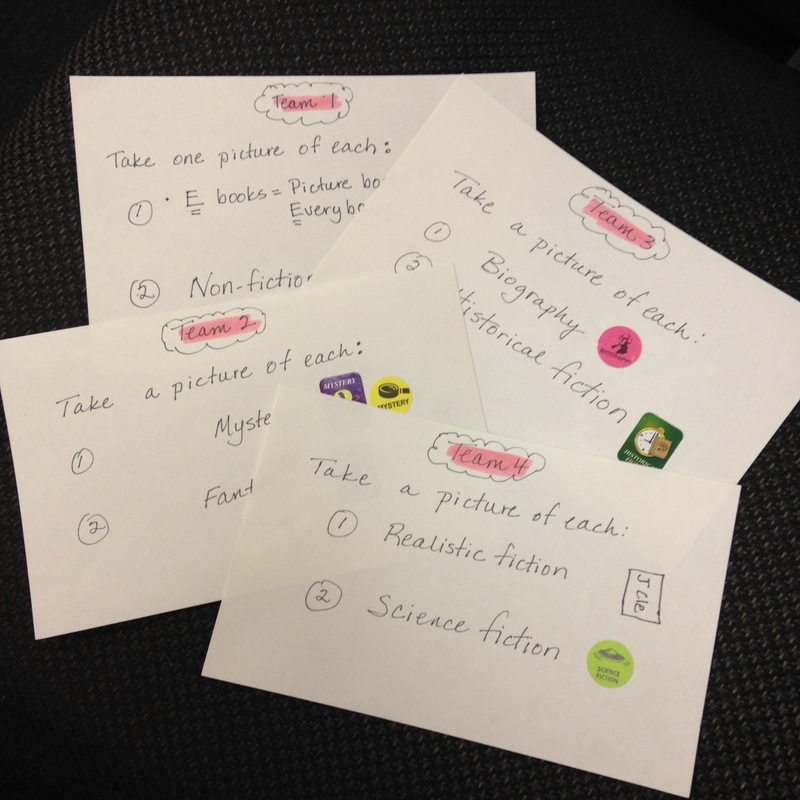 Fifth Grade played a game called Genre Jar this week. I lined up books from each genre on the whiteboard and we discussed the characteristic of each genre. 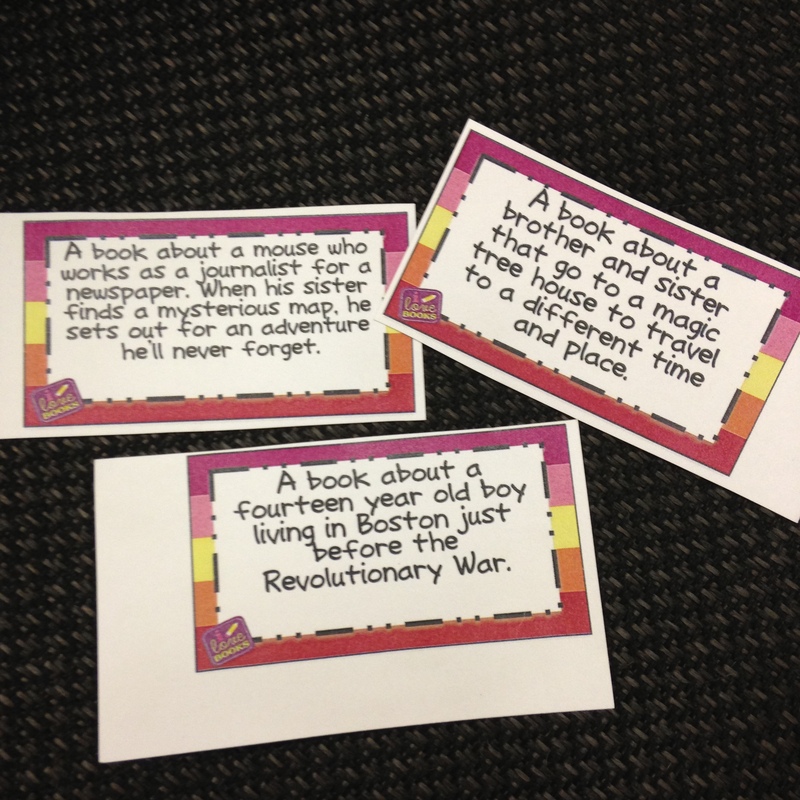 In my hat (which substituted for a jar) I put cards with clues about different books in different genres and one by one they figured out the genre and defended their choice. Sixth Graders were at camp this week. 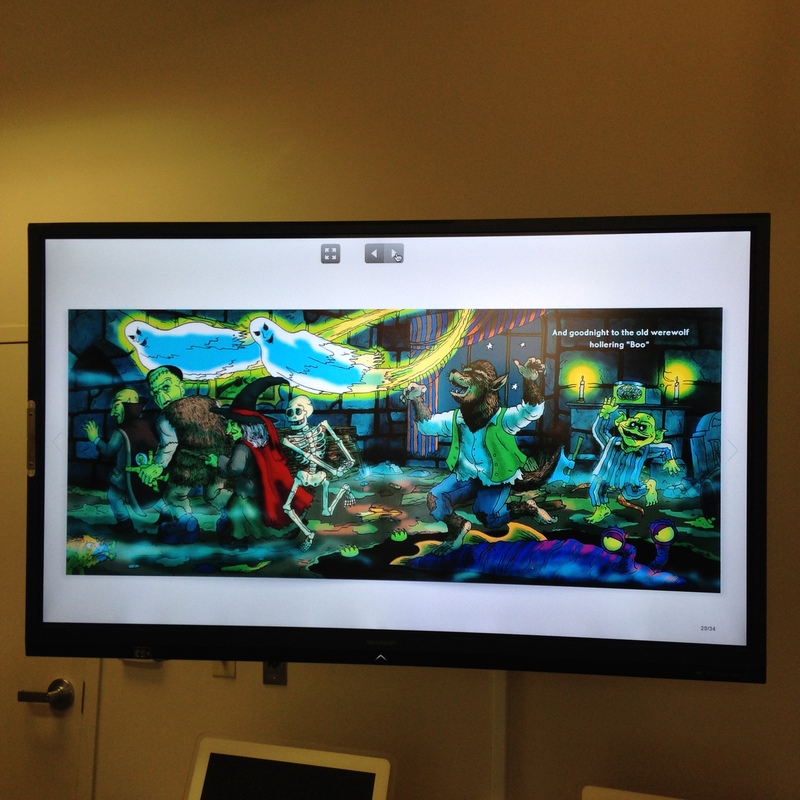 This entry was posted in education, Uncategorized and tagged genres, halloween stories, ipads, we give books.